Fiorini, S, Massar, S, Pokutta, S, Tiwary, H.R, & de Wolf, R. M. (2012). 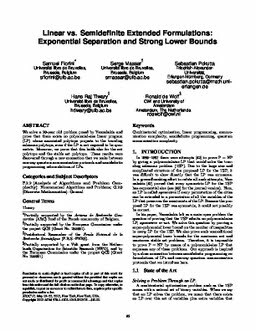 Linear vs semidefinite extended formulations: Exponential separation and strong lower bounds. In Proceedings of the 44th ACM STOC (pp. 95–106). ACM.